Microdermabrasion is a popular non-invasive, non-surgical procedure that some clients refer to as an “instant” facelift. It is a quick, safe, convenient and proven effective method for all skin colors and types to give a brighter,smoother appearance to any area of the body. Using diamond tipped wands this gentle treatment deeply exfoliates the skin improving the appearance of lines and wrinkles, stimulating collagen production, acne scarring, sun damage and stretch marks on the body. Diamondtome restores natural luminosity and is ideal as pick me up for dry, tired and stressed skin.This is a quick procedure and requires no downtime after treatment therefore treatments can be performed in your lunch hour. Normal activities may be resumed immediately. Your skin will have a radiant glow and be free of irritation and loose particles. Exfoliates and removes dead skin cells. The method utilizes radiofrequency waves which is basically heat energy meant for tissue remodeling and production of elastin and new collagen.Unlike invasive procedures which primarily affect the most superficial layers of the skin, the resulting heat of the Radiofrequency treatment works mainly on the deepest layer of the skin, the dermis, without affecting the upper layers that are above it such as the epidermis. As heat is a stimulation that promotes contraction of the underlying tissues, especially at the dermis level, soft tissues found within that area of the body compress, realign, and even produce new collagen, a process that normally takes many months to complete. With healthy new collagen present from the deepest level of the skin, exposing such soft tissues to further Radiofrequency waves help sculpt and tighten those tissues into a more youthful and elastic surface. Firm and tighten skin by aiding the skin’s own ability to produce collagen and elastin. Post treatment your skin will continue to improve thanks to increased collagen and elastin production. Micro needling is a process carried out with a roller that is covered with numerous tiny needle. These needles penetrate the upper layers of skin to up to 2,5mm (depending on the needle length used). This process has two major benefits. It EFFECTIVELY STIMULATES COLLAGEN formation at the same time as providing a clear channel for topical products to be absorbed more effectively through the top layer (epidermis) of skin. Ultrasound utilizes sonic vibrations, it works one million times per second (1 MHz). The ultrasonic wave could stimulate skin tissue and improve permeability of the membrane to promote collagen tissue, reduced wrinkle and invisible appeared fine line, also lift the skin result for younger and healthy look.Ultrassound generate frictional heat which accelerate blood circulation, muscle relaxation, and decompose the cellulite to break down exceed fat. Skin peels are an ideal way to freshen and improve the texture and smoothness of dull, tired skin or to help deal with problems such as acne and blemishes and sun damage that appears as brown spots and patches. Tailored to your specific requirements our range offers a selection of light to medium and advance peels that require no downtime and deliver instant results. Also designed to help more persistent skin problems such as acne and pigmentation. by removing dull, dead cells from the skin surface, open pores, blemishes and fine lines are all immediately reduced. We will advise you on the correct peel for your skin type and problem and you will also be patch tested for skin sensitivity. Microcurrent is to simulates bio-current of human body and divide it into various waveforms to go deep into epidermal layer, dermis layer and subcutaneous muscular tissue respectively to supply electricity to the cells and skin, to stimulate the energy which contained in the cells and to activate the cells, thus increase the output of the intracellular ATP, strengthen the penetrating force of the cells, promote the synthesis of intracellular ferment and protein, help the aged cells obtain normal metabolism and circulation and accelerate the nutrition absorption and waste excretion of cells. 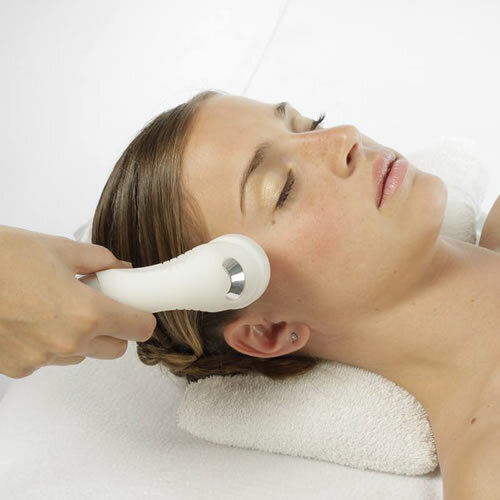 Microcurrent can replenish electric energy to skin so as to restimulate the vitality of cell. Replenish charges to cells with BIO biologic microcurrent will regain electric field balance to revitalize the cells and make the skin be transparent. Effects: Accelerate the blood circulation of the capillary vessel and enhance permeability of the cells to make the nutrient delivery to skin and muscle tissue more effectively. The microcurrent generated by this apparatus can penetrate into the deep layer of the skin to replenish water so as to restore you a moist, smooth and delicate skin. It’s the ultimate hydration therapy that makes your skin look better instantly and stay that way for a few days. The Secret Micro-Needle Fractional RF System is the ideal technology for skin lifting, tightening and rejuvenation by utilising minimally invasive micro-needles to deliver controlled RF energy directly into various depths of the skin. The RF energy is delivered through the focused tip of the microneedles, leading to far-less trauma to the surrounding epidermis. Non-insulated micro-needles are more effective and takes care of both epidermal and dermal problems without the need for additional superficial fractional RF treatments (SFRs). Plasma Pen, a new-era skin tightening technology provides a non-surgical solution for lifting, tightening and reducing skin. Plasma Pen works by placing a probe near to the skin which produces a micro-millimeter sized pulse of ‘plasmatic lightening’ which then superficially evaporates and causes the immediate surrounding area of skin to contract. This contraction tightens this area giving your skin a rejuvenated, natural and more youthful appearance.